For New Year's 2013, Ken and I visited Big Bend National Park in west Texas. The weather was temperate and the park was breathtaking. 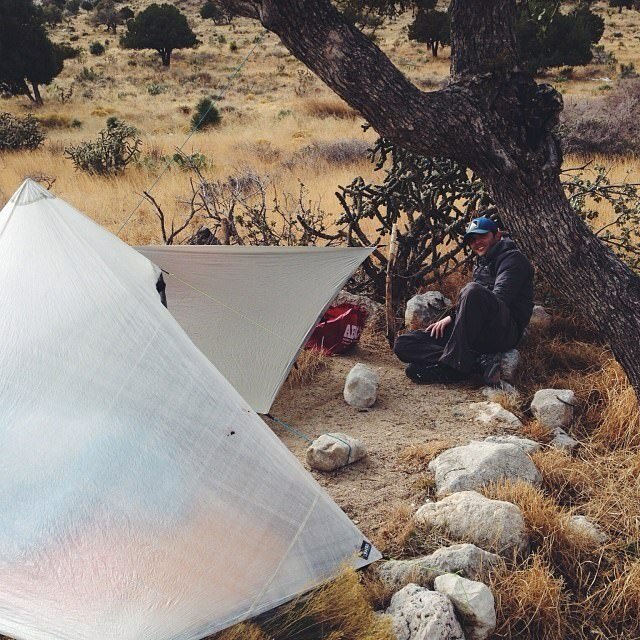 We had such a great time that we decided to visit Guadalupe Mountains National Park, also in west Texas, for another post-Christmas outdoor adventure one year later. This time we also brought along Ken's younger brother Thomas. 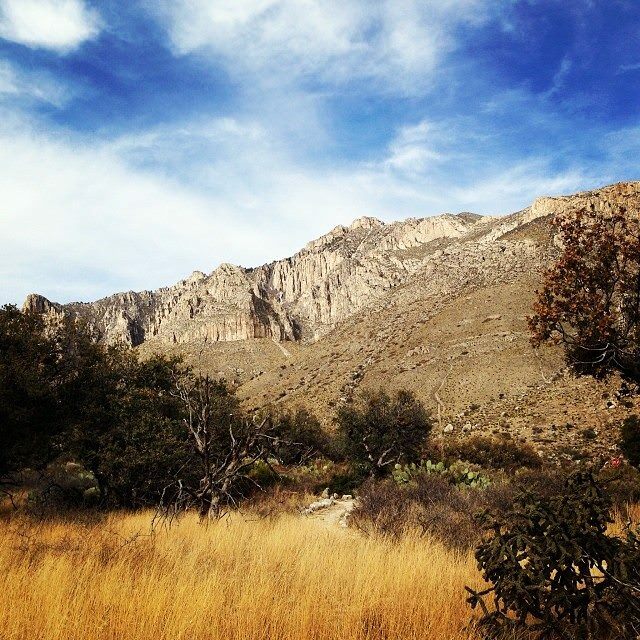 The National Park Service calls Guadalupe Mountains National Park (GUMO) the "hidden gem of West Texas." The mountains and canyons are actually ancient limestone reefs. In addition, it is home to both the highest point in Texas, Guadalupe Peak, and Texas's most recognizable mountain peak, El Capitan. There are more than 80 miles of trails in the park. More information is available on the GUMO website. Anyone who lives in Texas or has visited for any extended period of time knows that nothing is close. Getting to Big Bend took us about 7 hours driving time from Austin and getting to Guadalupe more like 8.5. Once you're past Fredericksburg, there is almost nothing to see until Ft. Stockton. In fact, when I opened Foursquare to check in to a travel stop there, someone had labeled the location "Civilization!!!" Another 120 miles west along I-10 puts you in Van Horn, the closest Texas "city" to Guadalupe (Carlsbad, NM is equidistant from the other direction). We planned our trip for a Saturday through Monday, with the hopes of getting in two days and two nights of backpacking. Our plan for Day 1 was to start at the Visitor's Center and hike the Tejas trail to the Pine Top campground. The next morning we would continue on to the Bush Mountain trail and loop around to the Tejas campground. Unfortunately, the elements were not in our favor. The winter wind whipped wickedly as we made our initial ascent and melting snow turned the ground into thick, cold mud. It took us about 4 hours to make the climb -- much longer than we had anticipated. The sun was quickly setting and Pine Top campground was covered in a layer of snow, but the view was worth the climb. I slept well that first night, but Ken and Thomas had to shiver their way through. Lows for the following evening were forecasted at just above 0F (compared to about 20 our first night) and so we decided to forego the remainder of our trek and descend the same way we came up. Our new plan was to car camp it Sunday evening and complete a leisurely hike along the Foothills and Frijole trails. Being the hiking aficionado that he is, Ken led us on an off-trail adventure through the foothills that allowed us to see a family of elk from about 300-400 yards away. Ken also spotted a coyote, but Thomas and I were trailing too far behind to catch a glimpse. When the sky started to grow dark we headed back to the campsite for a quick dinner, followed by some New Mexico dirt-road exploring and open-sky star-gazing. When Monday morning broke, we cleaned up camp and headed back to Austin. Here is a small gallery of photos I took in the park. For even more images, visit my Guadalupe Mountains National Park album on Google+ or follow me on Instagram. 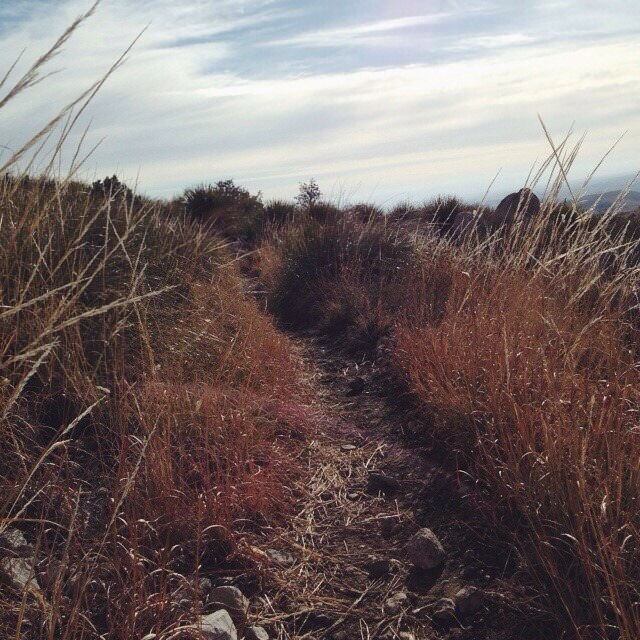 Posted on January 9, 2014 by Krystal Webber and filed under Travel and tagged backpacking hiking texas.